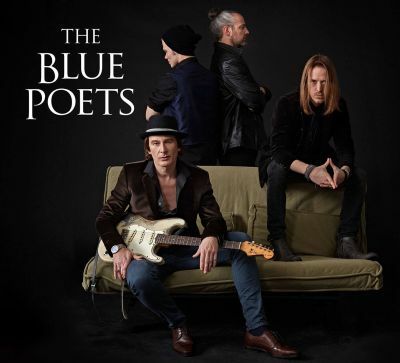 The Blue Poets may hail from Hamburg, Germany (and Australia), but the band’s sound is a cross between 1970s British classic rock and 1990s alternative rock with a deep steeping of American blues. While Gordon Grey (vocals), Marcus Deml (guitar, songwriter, producer), Phil Steen (bass), and Felix Dehmel (drums) rock out on a tune like Goodbye, they decided to go a quieter route on the reflective With Your Eyes. It’s the last track on their new self-titled album that was released mid-September. Guitar maestro Deml is a veteran of the music industry, already having a successful career as a studio and touring musician and as the leader of Errorhead. He’s writing his next chapter now with The Blue Poets, getting back to the basics of energy, melody, and attitude. All these traits are embodied in The Blue Poets’ sonics and songwriting, and in Australian frontman Grey’s vocal attributes. Just when the song seems to close on a calm note, it suddenly takes off to the skies with Deml’s sharply longing, flying electric guitar notes backed by Steen’s deeply supple bass line and Dehmel’s anchoring drum beat. Again, Deml’s guitar acts like a human voice, letting loose with dynamic, yet controlled abandon, full of frustration and regret, but also ripe with the feeling of redemption. 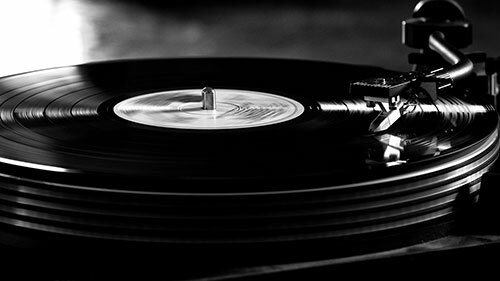 If you like what you hear, give The Blue Poets a like on Facebook by clicking here & a follow on Twitter by clicking here.